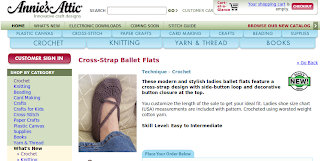 Several of my patterns are currently selling elsewhere on the web. 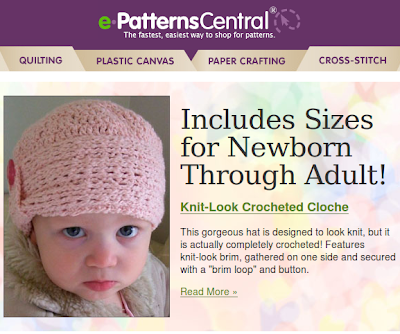 My knit-look cloche is in February's top 10 for crochet on E-patternscentral. I also have two patterns up on the Annie's Attic website...with a couple more to be added soon. CONGRATS! !that is wonderful!Your patterns inspire such cute wardrobes,without your patterns I would not have WAHM ability:)THANK YOU!! Congratulations on your design sales! I just noticed you're a follower on my blog and found your link. I've enjoyed browsing your site.